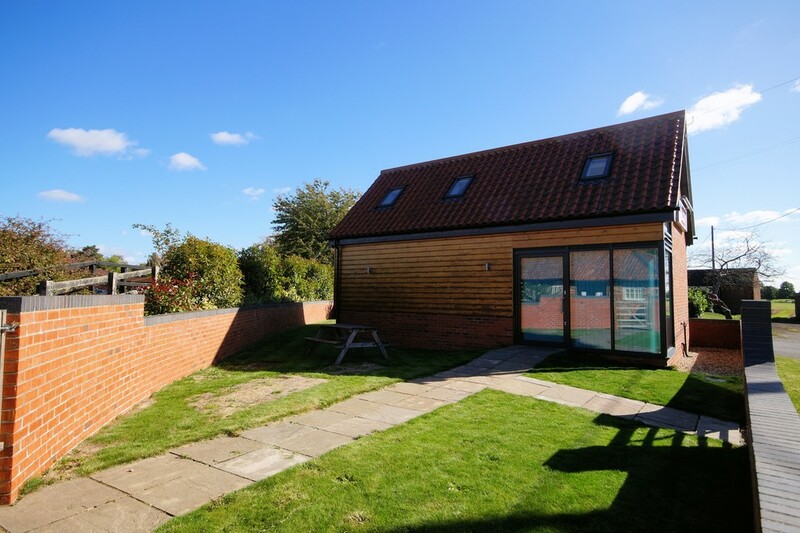 About this property LOCATION The property is located directly off Lincoln Road/Main Street within Torksey Village and accessed via a shared car park, with neighbouring businesses including a Tea Room and close to a range of additional leisure facilities. Torksey is a popular Village located approximately 10 miles West of Lincoln, accessible via the A57 and A156. DESCRIPTION This unique recently developed Detached Studio occupies a delightful waterside location within an attractive leisure environment, set within an attractive landscaped environment with ample private car parking space. The property is considered suitable for a variety of office/business uses. ACCOMMODATION This briefly comprises; Ground Floor: Reception Area, Open-Plan Office/Studio and WC Compartment. First Floor: Open-plan mezzanine Office Area. The ground floor accommodation extends to 35 sq m (377 sq ft) and in addition, the mezzanine floor provides for a further 8.25 sq m (89 sq ft) of floor space, all beautifully presented and ready for immediate occupation. Outside The property has attractive lawned gardens to the front and sides, enclosed by brick boundary walls. A generous area of land, suitable for private parking space, is included in the sale and accessed via a shared driveway, as highlighted on the plan below. Externally, the property also benefits from CCTV security cameras. SERVICES Mains drainage, water and electricity are connected. An under-floor central heating system is installed throughout served by LPG bottled gas. Services have not been tested, but are understood to be in working order. EPC Rating – C. TERMS The property is understood to be held on a Freehold basis. Consideration will also be given to a Lease at an annual rent of £7,200 for a term of years to be agreed. The ingoing Tenant will be responsible for the Agent’s Referencing Fee (£100 inc VAT), together with the Landlord’s reasonable legal costs for producing the Lease. OUTGOINGS Rateable Value – £3,050 In the event that a full rating liability is required, the current rates payable would be approximately £1,498 per annum (Rate to the pound for 2019/20 is 49.1 pence). Prospective Tenants are likely to qualify for Small Business Rates Relief which, under the current framework, would give up to 100% exemption of rates liability, but interested parties should make their own enquiries. VAT VAT may be applicable in addition to the sale price at the prevailing rate. VIEWING By prior appointment with Mundys Commercial – 01522 556088.